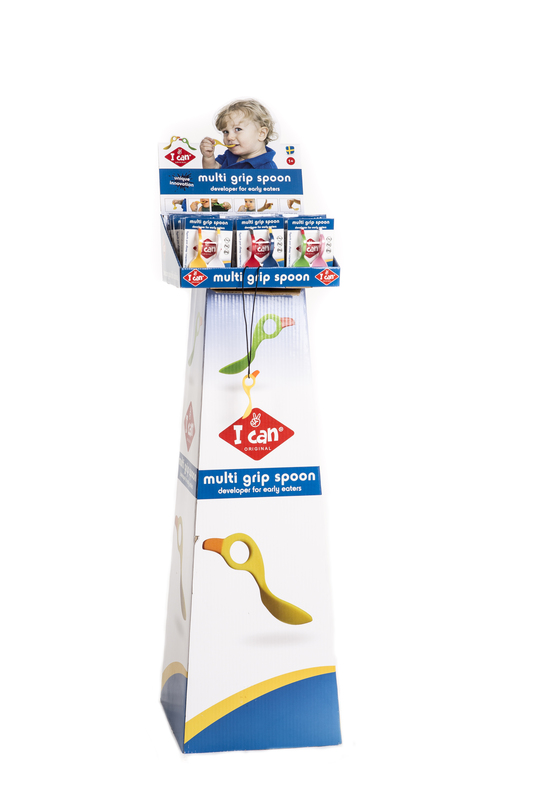 Want to become reseller of I Can spoon? Get in contact with us. Display box 30 units (10 white/yellow) (10 red/blue) (10 green/pink). I can display box are designed to allow for a good display. Place the box on the counter or in another good display area. The box is small and compact. 32 x 30 x 14 cm.1.2 kg. In the box there are 10 packages of each variety, 30 packages in total. To the box there is a stand for floor placement. 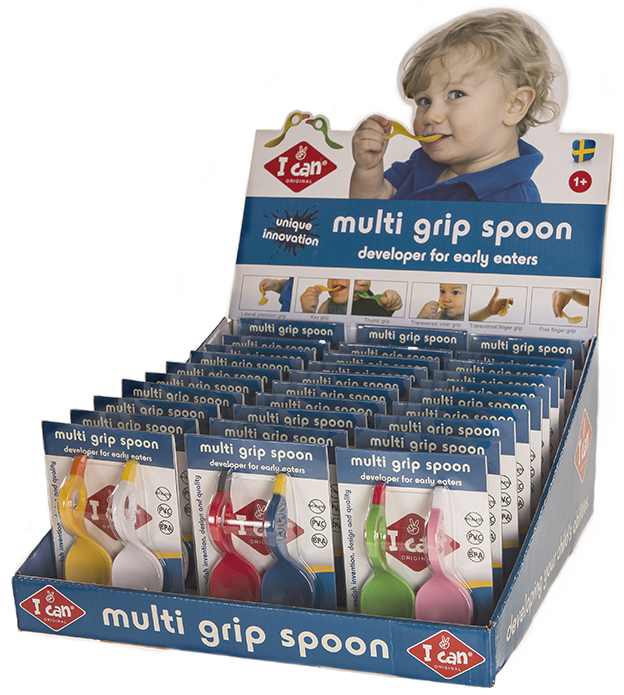 Of course, all I can spoons are BPA, PVS and Phthalate-free! In addition, they are tested and meet child safety standards EN 14372. Also, the US CPSIA standard section 108 and 110 and EU commission 10/2011. From 12 months.